.. but first a Beaufort, SC stop. In good weather we anchor south of the downtown marina and if the fridge is well stocked we don’t need a marina courtesy car or a taxi. 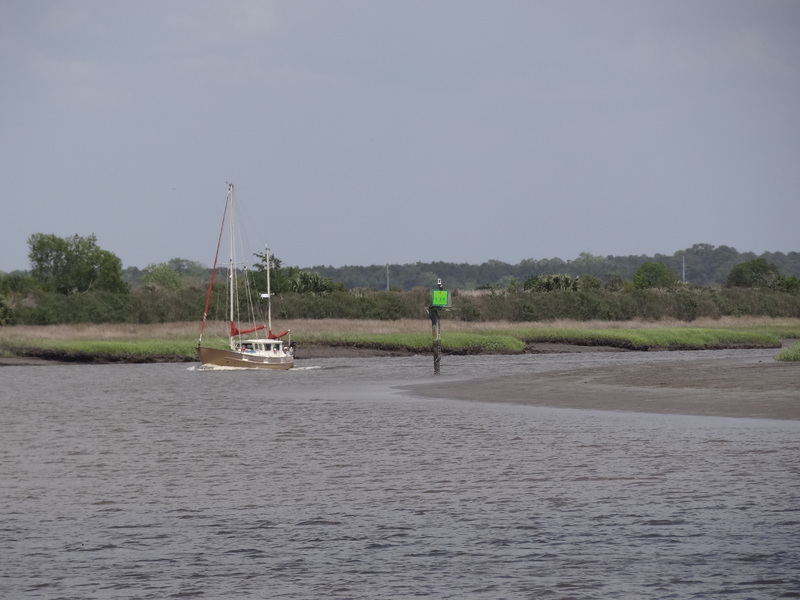 The mostly south-ish winds have been light, ideal for those who need or want to coastal hop- ideally to Charleston, to skip the fun of going aground. We tossed that idea (not the grounding) around then discarded it. If we couldn’t sail and save fuel, why bother. Did manage a couple day hops out. Enjoyed the change of scenery and the opportunity to try out new inlets in settled weather. Thanks to Indigo we discovered St Catherines; easy passage with the incoming tide and a light south wind. 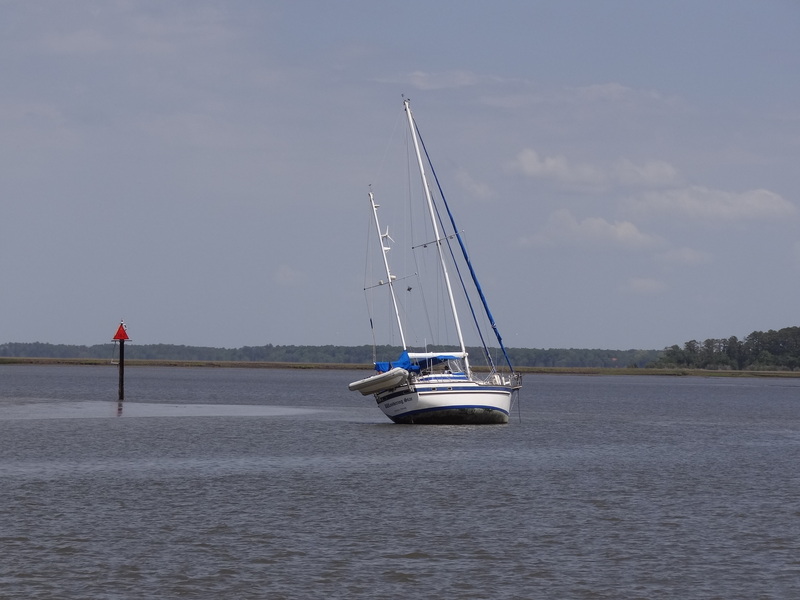 In Beaufort (do you recall from our lesson that it’s “bew-fort?) we stopped at a favorite waterfront dining spot, Panini’s, where Mondays are half-price pizza. Quelle chance! Two drinks, two small yummy flatbread style pizzas and a side order of meaty Italian sausage all for $32, including tip. Leftovers will be dinner the next night- how good is that? 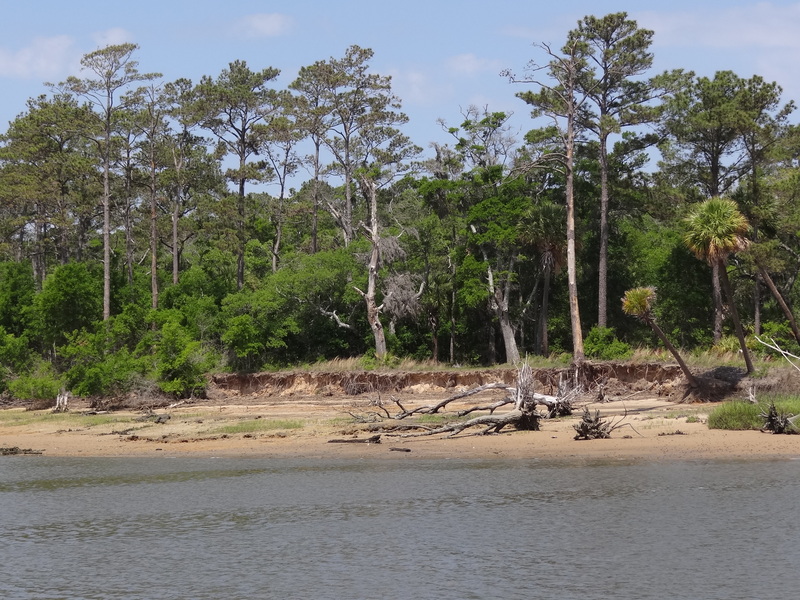 The South Edisto River contained the brownest, yuckiest looking water. 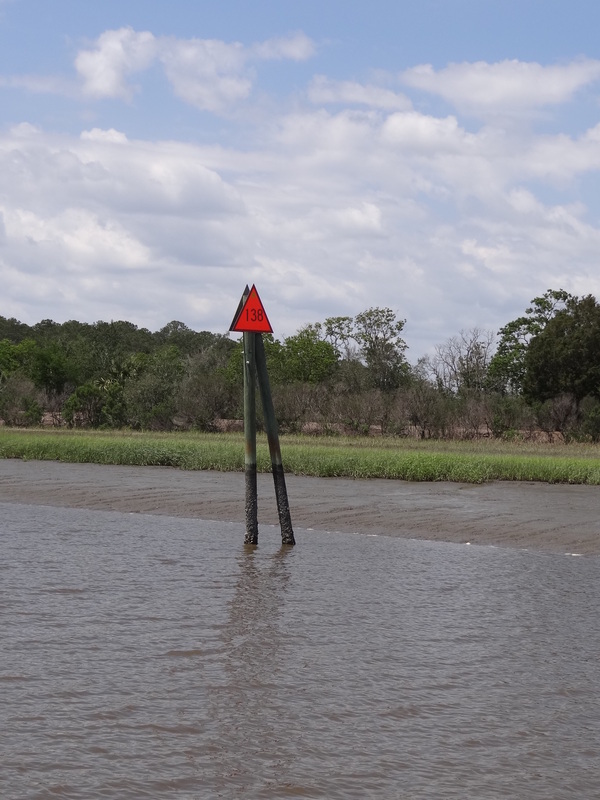 Very tall markers attest to the huge tidal range in these southern waters. The Ashepoo River- don’t you love these inspired names? ?- which we traveled through at low to near low provides a good example of the dramatic shoreline cut away at low tide. The red side he cut too close. Now, “gone aground” he can boast. 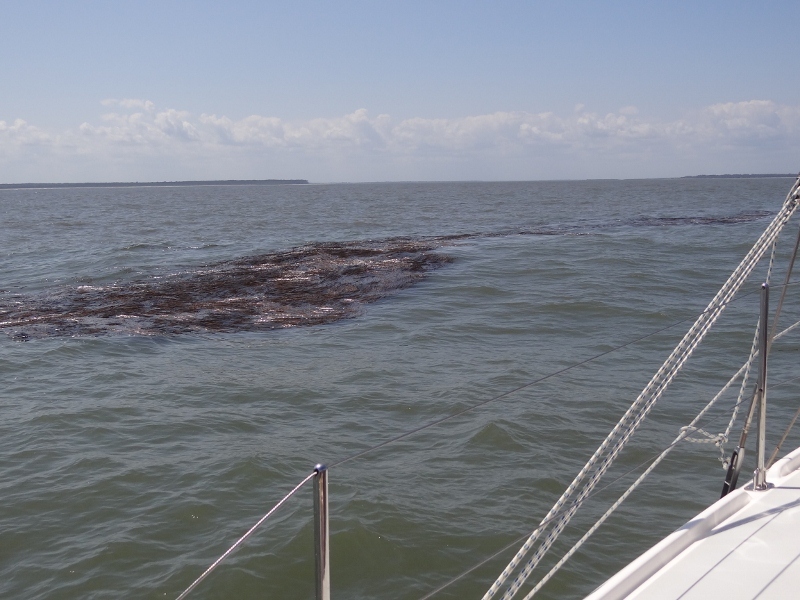 This entry was posted in Uncategorized and tagged Creeks, salty sailor humor. Bookmark the permalink.